Is the LAUSD Charter School Division Providing Any Oversight? You are here: Home / Charter Schools / Is the LAUSD Charter School Division Providing Any Oversight? Good Morning. 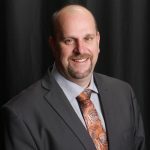 My name is Carl Petersen and I am here to follow up on the public comment that I made last week regarding Granada Hills Charter High School (GHCHS). Specifically, I’d like to respond to José Cole-Gutiérrez’ statement that the Charter School Division is “proactive and responsive” in their oversight. Cole-Gutiérrez stated that last week was the first he had heard of the charges that I was bringing against GHCHS. However, in the packet that I am providing to you, you will see a stack of emails (email 1, email 2, email 3, email 4) both to and from the Charter School Division about this issue. His email address is copied on all of them. If he was unaware it is because he is not paying attention. Also included in that packet are screen captures of GHCHS’ website. Cole-Gutiérrez suggested that this must be a new thing, that Granada must have changed their website because the CSD would have caught it in oversight. I used the Wayback Machine on the Internet and brought up these forms roughly every six months going back to March of 2015. There are different formats for their enrollment form, but each one of those forms contains the offending language asking for the IEP (3/10/15, 12/16/15, 3/28/16, 10/30/16, 12/22/16). Dr. McKenna asked during his questioning last week about other schools and if the Charter School Division is looking at other schools. I have also included a copy of a page from El Camino Charter High School’s website. They also have that language on their enrollment information online. The Alliance Collins Family College Ready High School also has that language on their enrollment information form. While I was looking that up I found something else that was interesting. Alliance is trying to shame parents into doing “volunteer” hours so they post how much volunteering the parents have done, listed by student name on the website. This public release of student information violates their privacy. I would also like to state that it is not enough to simply remove this language. As I said, these violations have gone on for years and we need to find a way to make up for the harm that has already been done. The data that I presented last week shows the significant difference between the special education populations at Granada Hills and Northridge Academy. We need to fix that. This clearly violates the provision of their charter that specifies that “A student’s IEP will never be required prior to participation in any attendance lottery or as a condition for enrollment.” According to the handbook, this policy was revised in September 2015, but the CSD has either ignored this issue or failed in their responsibility to find the violation. The Alliance organization is currently operating at 28 locations throughout the LAUSD. Over six months after the original complaint was filed, GHCHS finally removed the requirement from their website requiring that prospective parents provide report cards and copies of any existing IEPs or 504 plans. However, it appears that they continue to do their best to avoid complying with the requirement that they automatically accept students who live in their attendance area. One parent reports that, contrary to the information on their website, Granada is requiring multiple copies of DWP Bills and Gas Bills in order to enroll, making it harder for students moving into the area to enroll. Once this hurdle was cleared for the parent, Granada insisted that the regular campus was full and assigned her child to the iGranada program. This is in direct violation of the Notice to Cure that was issued on June 22, 2016. 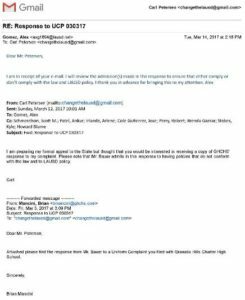 These examples show how ill-equipped the CSD is to oversee the charters that already exist within the LAUSD. Yet, at every monthly Board meeting, it seems that even more are added to the roster. It is time to stop the insanity. The LAUSD must heed the NAACP call “for a moratorium on charter school expansion and for the strengthening of oversight in governance and practice.” It is the only way to protect our children. Carl Petersen is a parent and special education advocate and was a Green Party candidate in LAUSD’s District 2 School Board race. He was endorsed by Network for Public Education (NPE) Action and Dr. Diane Ravitch called him a “strong supporter of public schools.” His past blogs can be found at www.ChangeTheLAUSD.com.